As far as I know, most pullets reach maturity and start laying eggs somewhere in the 4-6 month age range. I’m not a particularly patient chicken owner so you can imagine my frustration when our hen, Jelly, started coming up on 10 months and still hadn’t laid her first egg. I was checking the coop daily and secretly starting to wonder if she even possessed the correct parts for an egg laying operation. Just when I gave up and decided to quit worrying about it, I found a questionable egg in an odd spot in the coop. Could it be Jelly’s? After so many disappointments, I dared not hope. I usually pretty good at identifying each egg with the hen that laid it. Location is key too. Babs and Ginger only lay eggs in the nest box but Jelly has never voluntarily ventured into that part of the coop. She roosts in the bottom near the feed trough and that’s where I found the lone egg. It was different than all the other eggs too. 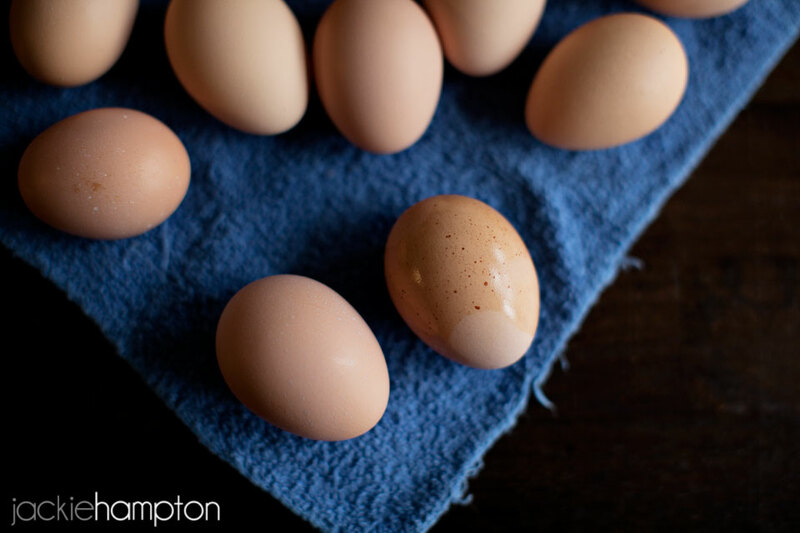 When dry it looked like all the other eggs, but when rinsed it showed distinct brown freckles. This should have been enough to convince me, but I remained a tad skeptical. 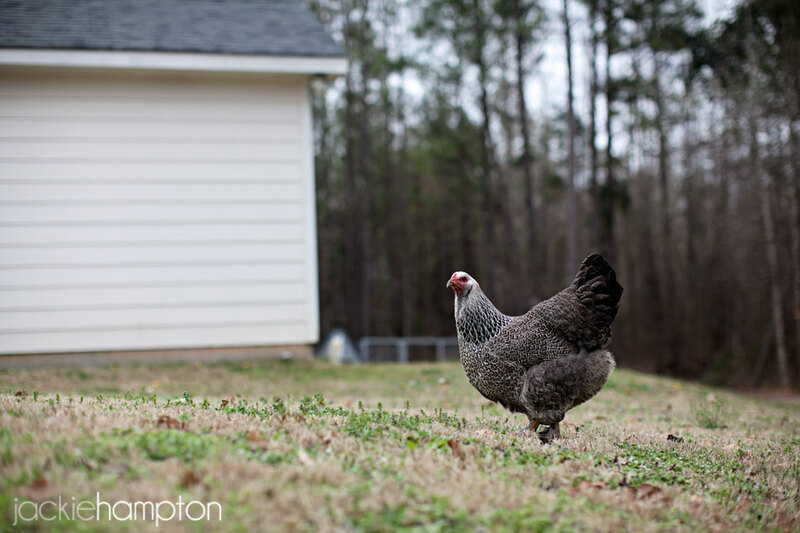 Until one day when I came home and found Caleb in the backyard, arms crossed and watching the chickens speculatively. I opened the door and he motioned me over. “I have to show you something.” He let the hens out of the coop and we stood back and watched while Jelly detached from the group and hurriedly scrambled off into the forest. “Just watch.” Then he took my hand and we ducked under the bramble and followed after her. About ten feet into the tree trunks we found her sitting nicely on a cushy pile of pine straw. When Caleb picked her up there were two eggs underneath. So, basically she held them in as long as she could and then she hid them. That’s the kind of bird that keeps a backyard flock interesting.